08 « June « 2015 « Nothing in Biology Makes Sense! 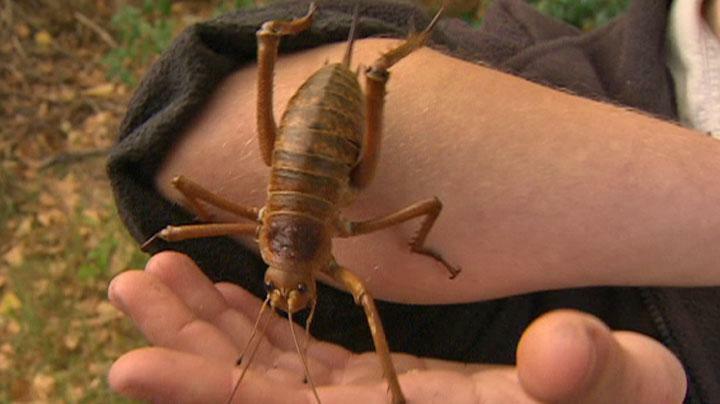 Not the stuff of your nightmares, but rather the adorably cuddlable Giant Weta. Resembling giant crickets (not too far off the mark given their evolutionary history) these charismatic mininfauna are the heaviest insects on the planet, weighing in at 2.5 ounces. Despite their massive size, they are really quite sweet. 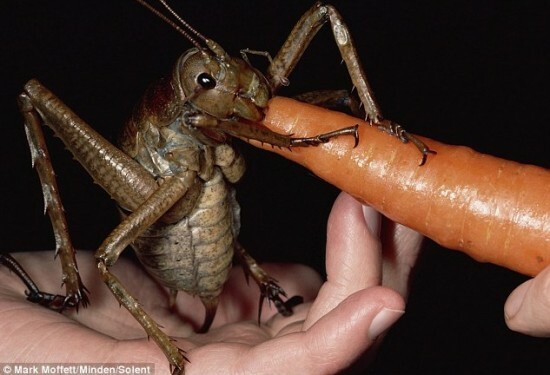 In addition to their giant brethren, there are ~70 known species of Weta, all equally unique due to the strange evolutionary history of an island isolated for hundreds of millions of years, New Zealand. Learn all about the glorious Weta over at Wired!